Having a garbage disposal in your home is a real convenience. Yet, for many people, the move to add one to their home is more about being more environmentally friendly. Whatever your reason for wanting to add, repair or replace your disposal, Moore & More Plumbing is the team that can take care of it for you. 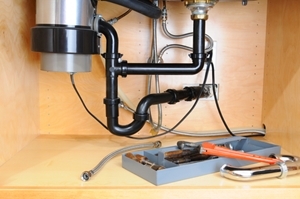 We are the local experts for repairing and installing garbage disposals in Austin and nearby. In sink disposals are nothing new but they have certainly improved over the years. If you have an older system you should certainly have it looked at to see if there are garbage disposal repairs or improvements that could be made so it will function better. It may even turn out that the time has come that you are in need of a replacement. Since 1986, we have been the name that locals think of when they need a reputable Austin plumber. We take care of a variety of important services for both residential and commercial clients. No matter what service it is, you can rest assured that the quality will be top notch. Cut down on garbage in your trash can – This means less food rotting in your trash can causing your kitchen to smell. It also means less trips to take out the trash, as well as less trash in the local landfill. Cutting down on emissions – Food that is left to rot in a landfill leads to emissions. That is because when food scraps decompose they produce methane gas which is over 20 times more powerful than carbon dioxide. Makes life more convenient - Being able to drop food scraps into the disposal in your sink while you are preparing food and cooking is easier than trying to get over to the garbage can. Don't interrupt your flow; focus on getting the task at hand taken care of. A common problem is that the disposal stops working and a homeowner simply stops using it. Why have any appliance in your home and leave it to be nonfunctional? We can provide you with quality garbage disposal installation or repairs that will get your system up and running again. 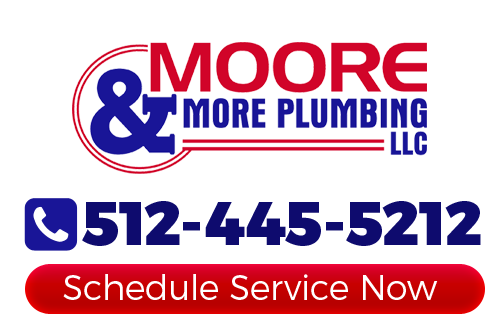 All you have to do is give Moore & More Plumbing a call and we will be there to take care of your need for quality plumbing services in Austin. We arrive at your home in a fully stocked truck ready to take on even the most challenging task. Start making life in the kitchen simple again by letting us provide you with a quality garbage disposal. If you would like an estimate for garbage disposals in Austin or the surrounding areas, please call 512-445-5212 or complete our online request form.